As America enters its 24th day of government shutdown, making it the longest in US history, many places are getting hit hard across the country. Queues at airport security are longer than ever, passport applications and visas are being delayed, and national parks are getting destroyed as hundreds of thousands of federal workers are forced to stay at home. It’s getting so bad that, in less than a month, America’s national parks are becoming damaged beyond repair; with no employees around to look after the parks, visitors are littering, destroying wildlife and causing chaos. But one man not willing to stand for this, and who is fed up of waiting around for Donald Trump to end the government shutdown, is Dan Little. 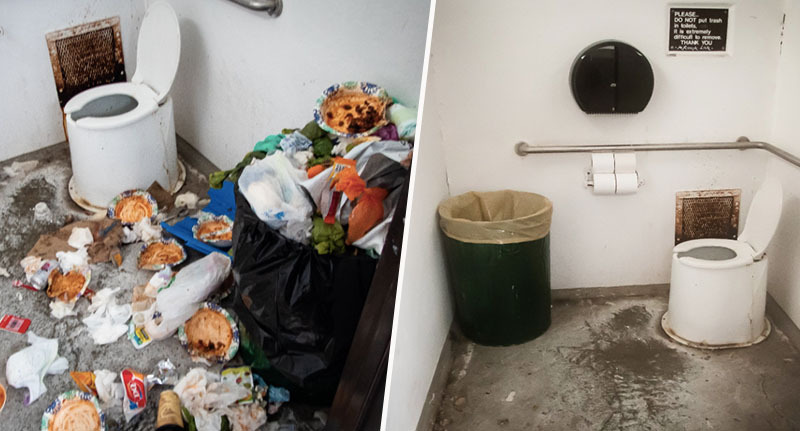 Dan is the husband of Oregon Governor Kate Brown, who took to Twitter to share with her followers her spouse’s attempt to clean up the bathrooms within a national park which because of the shutdown were a complete mess. Not wanting to stand by and wait for the damage in Mt. Hood National Forest to get out of hand, Dan made it his mission to clean up the bathrooms. Not only that, but he thought it only fair to send Trump the bill. Governor Brown posted four pictures, taken by Dan, which showed what the bathrooms looked like before and after her husband had cleaned them. She also posted a picture of the invoice Dan sent to Trump. This is just one of the many reasons I love my husband, Dan. He visited Mt. Hood National Forest Sno-Park, and like many national parks across the country, found it a mess due to the partial government shutdown. He cleaned the bathrooms—and sent the bill to President Trump. Hats off to the man; he’s actually stood up for what he believes in, while doing something great for the environment at the same time! Now, Little only charged Trump $28 for ‘trash removal’, which shows just how decent he is because from the look of those ‘before’ pictures, the place was a mess. I’d charge him way more purely for the inconvenience. As of yet, there’s been no word on whether the president has received the bill or whether he intends to pay it. But I think I speak for everyone when I say I seriously doubt that will happen. After all, we’re 24 days in and Trump is refusing to ‘budge even 1 inch’ on border wall funding, as CNN reports. Surprise, surprise. While Trump is digging his heels in, the situation with America’s national parks is only getting worse. So much so, that environmental groups have had to call on the president to either completely staff public lands or keep all national parks closed during the shutdown. 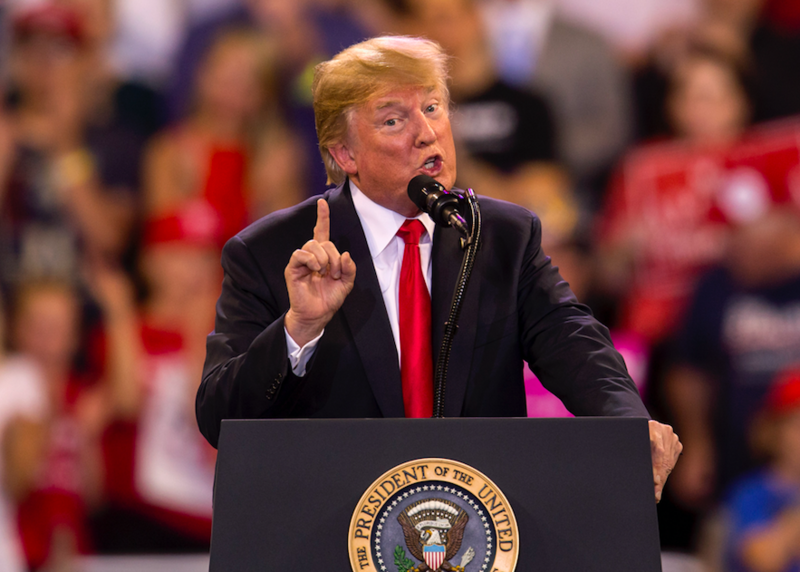 Huffington Post reports that the National Wildlife Refuge Association, the Coalition to Protect America’s National Parks, and the US Fish and Wildlife Service Retirees Association wrote a letter to Trump last Wednesday (January 9) in which they set out their demands. It is simply impossible to steward these shared American treasures properly, leaving thousands of lands and waters accessible to the public with no staff on site, even for an emergency. The adverse impacts upon our nation’s cherished lands and waters could take years to recover. As of yet though, the situation remains the same; America’s national parks are getting destroyed, with Trump doing nothing to stop it. Hopefully a solution will be found soon, before it’s too late.